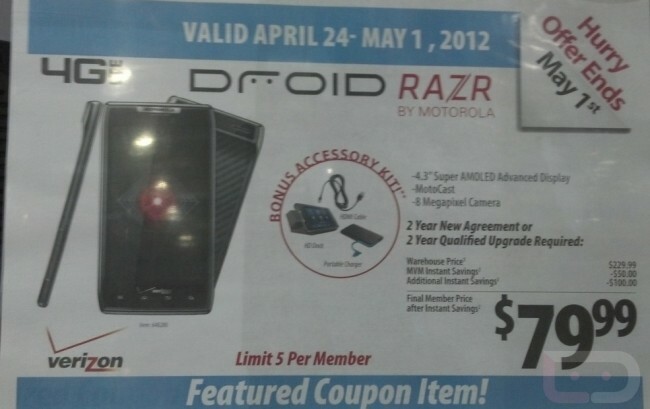 From now until May 1, Costco is selling the DROID RAZR for $79.99 on 2-year agreement along with a really nice accessory package. The accessory bundle includes an HD dock, HDMI cable, and portable charger, which combined probably total more than $80. It may not be the MAXX with its 3300mAh battery, but there are ways of course to turn it into one. We still consider the RAZR to be one of our favorite phones of the last year.